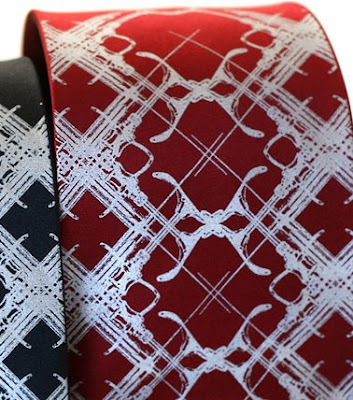 My new favorite from Cyberoptix Tie Lab (of course). Interlocking vintage syringes are reversed and doubled in a kaleidoscopic pattern. Fresh from the prep school underworld. I love me some prep school underworld. 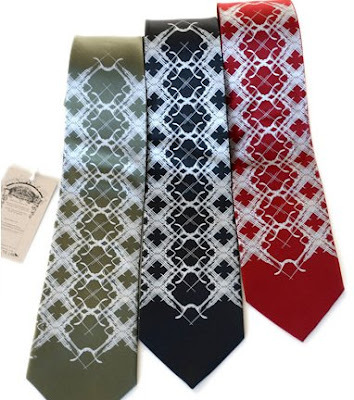 I think I'm in love with the ties.